Premise: A team of gatecrashers travel the universe searching for Loren Kristol, a mysterious man infected by an alien artifact, in order to stop him from possibly destroying all of transhumanity. From remote exoplanets controlled by secretive hypercorporations to the edges of our solar system, the team will travel far and wide to stop Kristol, at great personal cost. Aided by Firewall, the team is perhaps the only hope to stop him before he unleashes the power of the engimatic Mirrored Pillar. Overview: Duality was designed as a broad sampler of gatecrashing and the major polities described in Rimward. Each chapter focused on one major system or faction. It also catches up with the protagonists of Know Evil, although they are NPCs encountered by the team. Gatecrashing chapter: Before the team was recruited by Firewall, they were working for the hypercorps, using the Martian gate. Unfortunately, they learned too much about secret R&D projects during a mission and are pressganged into working for them full time. The nightmare that is HEDGEROW and the bizarre artifact only known as the Mirrored Pillar are only some of the mysteries they encounter. The team is also thrown into a civil war between autonomists and the hypercorps on a distant exoplanet colony. Hedgerow: The prequel to Duality and the introduction of the main team. Episode 1: The team wakes up on Minerva 4, missing their memories. How can they escape the clutches of the hypercorps that put them there? Episode 2: The gatecrashers must recover them from a hypercorp green zone. Episode 3: After joining with the autonomists, the team is ‘recruited’ by Firewall and sent on another gatecrashing mission. Ceres chapter: After leaving Minerva 4, the team is sent to Ceres, a dwarf planet in the main belt, to find out why Kristol made contact with the Hidden Concern. The Concern is a criminal syndicate run by octopus uplifts and fortunately has an undercover Firewall agent on the inside. Even with this ally, they will have to earn the Concern’s trust, a task easier said than done. Episode 4: The team arrives on Ceres and helps the gangsters in order to earn their trust. 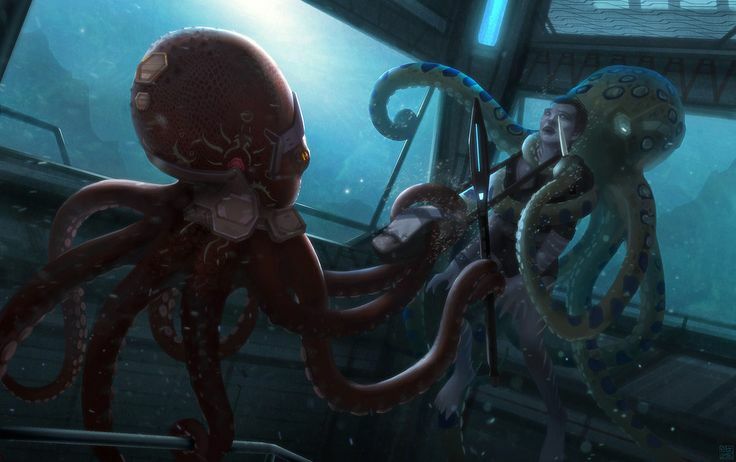 Episode 5: Getting the data they need requires going to a hidden underwater lab, guarded by a dangerous experiment. Titanian Commonwealth chapter: The investigation turns to the St. Catherine Tongs, a morph stealing gang that operates in the Titanian Commonwealth. Once on Titan, the team looks into the gang and finds leads connected to the extremes of Titanian society. Desperate treks through the frigid wilderness, tense meetings with gangsters, and a raid on a clandestine lab far from the safety of the city are all part of this chapter. The Spa: A side game that explores the clandestine lab before the Firewall team finds it. Episode 6: The Tongs were partnered with a corporation as well as Kristol. How far does the conspiracy go? Episode 7: A honey pot operation and breaking and entering into a secure apartment. Episode 8: The Spa is overrun by infection and the team finds the head of the Titanian conspiracy. Jovian Republic chapter: Loren Kristol provided technical data to a cell of exhuman terrorists. With this data, the exhumans can possibly achieve the singularity if they harvest enough egos by recreating the Fall in the Jovian Republic. Despite the xenophobia and totalitarian government of the Republic, the hypocrisy of the ruling elite has created several security holes that the exhumans can exploit. Once Firewall learns of the imminent attack, they send a separate team of sentinels in to stop the exhumans. Erasure Squad: A side game wherein Firewall raids an exhuman facility and learns of the plot. Episode 9 – The Shepherd: Another side game and prequel to the main chapter. A Jovian military refueling station becomes a warzone between Firewall and the exhumans. Episode 10: The sentinels enter the Republic and make contact with a local cell of undercover agents. The investigation quickly becomes deadly. Episode 11: A security crackdown hampers the efforts of the sentinels and they learn of a separate threat to the Republic. Episode 12: In order to learn more about the plot, the sentinels lay a trap to capture one of the exhumans. Episode 13: A daring raid in the depths of the Jovian city, where a small number of Firewall agents will stand against dozens of exhuman terrorists. Episode 14: The remnants of the exhumans launch a desperate attack on the civilian populace. The sentinels decide the fate of the Republic in the chapter finale! Extropia Chapter: The gatecrashers have recovered from their investigation on Titan and have proceeded to the space libertarian paradise known as Extropia. Between micro-torts and escalating hacking attacks on a legal AGI, the gatecrashers will have their hands full. Kristol met with the Ultimates on the station and the team needs to find out the details of their deal. Episode 15: Arriving on Extropia takes some time to adapt. The team looks into multiple leads and runs afoul of micro-torts. Episode 16: A plot is hatched to extract the intel from the Ultimates. Can their con work against hardened mercenaries? Episode 17: Extropia descends into chaos as a power AI hacks the security bots of the station. The team tries to catch Kristol before he escapes. Ultimates chapter: The Ultimates are a powerful faction of warriors and philosophers, driven by a need to improve themselves. In order to find out what Kristol traded to them, the gatecrashers infiltrate an Ultimate run station called Xiphos during their annual Olympic festival. Posing as new members, the team must prove themselves worthy as Ultimates before they can accomplish their mission. Episode 18: Arrival on Xiphos, the Olympics, deadly tea parties and espionage. Episode 19: Captured and sent to a secret prison overrun by ‘Kristol’. Outer System chapter: The end of the road for the gatecrashers. Loren Kristol has been revealed as a damaged delta fork of a TITAN. It has gathered resources and intelligence on Alpha Plus, a remote habitat in the outer solar system. The truth is revealed and Firewall will never be the same. Episode 20: a nearby colony ark ship has been partially compromised by a TITAN war machine. The team is able to farcast inside the ship but must deal with the war machines before they can enter Alpha Plus. Episode 21: After all of their missions, the team must stop a TITAN and possibly save Alpha Plus from destruction. Other Side Games: A few games examined other parts of the narrative without affecting the main plot. Outside Context Problem: A cult of alien worshipers may have made contact with an alien intelligence on an exoplanet. Jacques: A Patreon backer game where a team of sentinels pursues a lead on Neptune. Campaign Post Mortem: Wherein we discuss the campaign and what we thought of it.